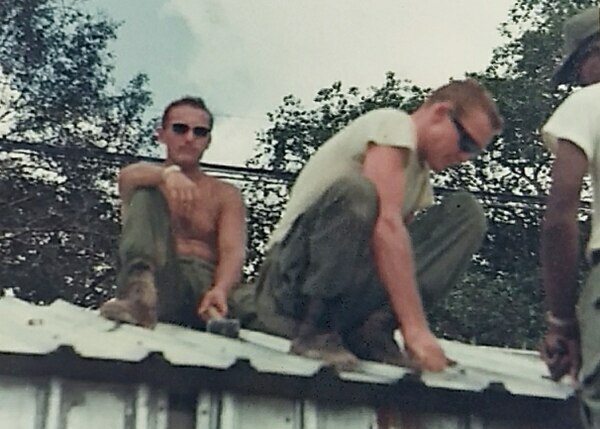 The first time Jim Pawlukiewicz applied to become a U.S. citizen, he was building quonset huts and pulling guard duty in Bien Hoa, Vietnam. It was July 1967. Pawlukiewicz was a 21-year-old U.S. Army specialist with B Company, 34th Engineering Battalion. He’d been drafted in 1966. Once he got to Vietnam, he learned there was a naturalization office in Guam. So he mailed in a request to U.S. immigration offices: could he take leave to become a citizen? The letter back was his first no. “Sorry, but you have to have six months residency in Guam before you can apply,” the government responded. That was almost 51 years ago. His latest rejection came last year, when the Chicago immigration office denied his paperwork because he’d entered dates in the European, not American, format. His sister Georgia Ackerman helped him with that most recent request. After it, too, was rejected, she wrote to Military Times, enraged. Pawlukiewicz is a man without a country. He was born in July 1946, in a liberated Nazi work camp in Germany. But Germany would not grant him citizenship because his parents were Polish, and Poland would not grant him citizenship because he was born in Germany. The family was welcomed into the United States under a post-war displaced persons program; they arrived by the U.S. Army transport ship Gen. R. L. Howze in 1950. His parents chose Michigan because an uncle lived there. But they never became naturalized citizens, which meant Pawlukiewicz grew up like a typical American kid, except that he carried a green card as a permanent resident. He graduated from St. Hedwig High School in Detroit in 1965 and was working the assembly line at Ford Motor Co. when his draft number was called. After he got home from Vietnam, he tried twice again to become a citizen, but was unsuccessful. Over the years he’s been told he provided the wrong form, or that he was missing paperwork, or he hadn’t submitted the proper payment to have his fingerprints taken — even though as an honorably discharged veteran he’s not required to pay. After the first few rejections, he stopped trying for many years. “I was pushed around so many times I figured I didn’t need the hassle,” Pawlukiewicz said. Instead, he and Donna had kids. After Ford Motor Co., he built hot-rod engine parts for Mallory Electric, then went to work for Wilson Dairy. He ultimately retired from a quintessential American heartland life, except the whole time, Pawlukiewicz wasn’t an American. That difference in status has cost him. One of his best friends was a member of American Legion Post 232 in Dearborn, Michigan, and Pawlukiewicz wanted to belong. “I went there and tried to join, and they refused me, because I’m not a citizen,” he said. Then he tried the VFW. Five years ago he tried again. with a full application packet detailing his life: his marriage license, his permanent resident card and his military service record. In that application, he laid out his case. That’s when he was told he got rejected — incorrectly ― because he hadn’t submitted payment for fingerprinting. When his sister reached out to Military Times, it was a last-ditch effort. 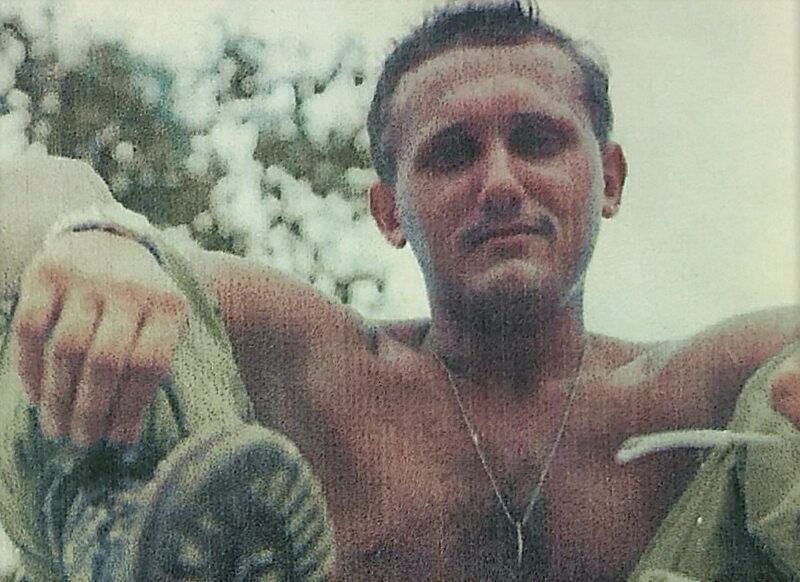 Pawlukiewicz was exposed to Agent Orange and the VA has rated him 100 percent disabled. He’s had a heart attack and a stroke, to the extent that he struggles with memory and likely would not be able to get through a naturalization exam. What she wants for her brother is recognition — but also a U.S. passport, so he and Donna can finally take an overseas trip together, something they’ve never been able to do. Before the Sept. 11, 2001, attacks, they could visit Canada and Mexico, but the only overseas country Pawlukiewicz has ever visited is Vietnam. Reached for comment Tuesday, a staffer for Rep. Debbie Dingell, D-Mich., whose district includes Pawlukiewicz, said they are now looking into his case. “We’re going to do everything we can to help,” the staffer said. In the last few weeks, her brother’s health has deteriorated, Ackerman said. Pawlukiewicz is in the hospital. Ackerman said when he got the news that his request for citizenship would be looked at, he cried.